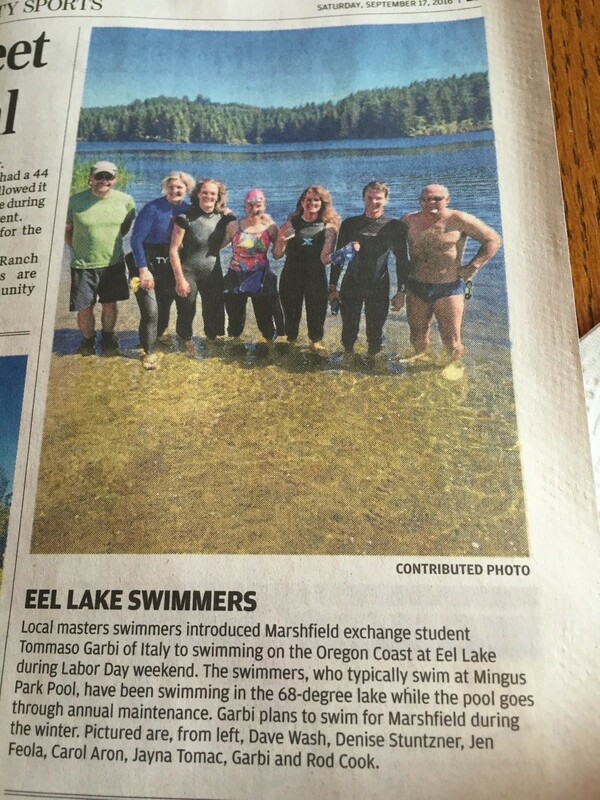 Local masters swimmers introduced Marshfield exchange student Tommaso Gabi of Italy to swimming on the Oregon Coast at Eel Lake during Labour Day weekend. 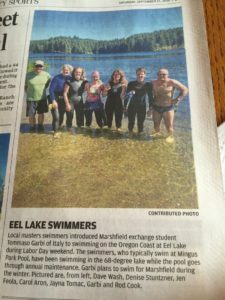 The swimmers, who typically swim at Mingus Park Pool, have been swimming in the 68-degree lake while the pool goes through annual maintenance. Gabi plans to swim for Marshfield during the winter. Pictured are, from left, Dave Wash, Denise Stuntzner, Jen Feola, Carol Aron, Jayna Tomac, Gabi and Rod Cook.